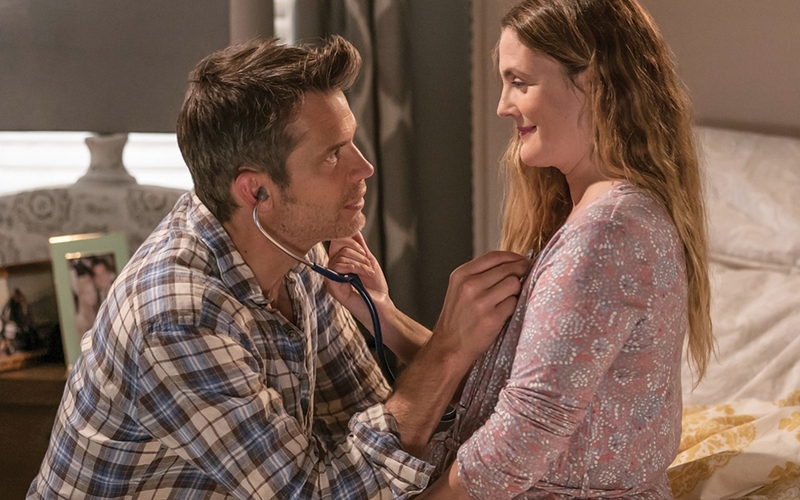 Drew Barrymore - plays Sheila Hammond, a successful real estate agent and mother in Santa Clarita, California, who leads a perfectly happy life — until one day she wakes up feeling a little well, undead. Despite her hunger for human flesh and a more adventurous life, she tries to carry on and appear normal to the outside world. Besides playing one of the lead characters, Drew is also an executive producer. Timothy Olyphant - plays Joel Hammond, Sheila’s high-school sweetheart and husband with whom she shares everything: a career in real estate, a daughter who means the world to them, a picturesque suburban life. After Sheila develops her mysterious condition, he does whatever it takes to keep his family intact. Besides playing one of the lead characters, Timothy is also an executive producer. 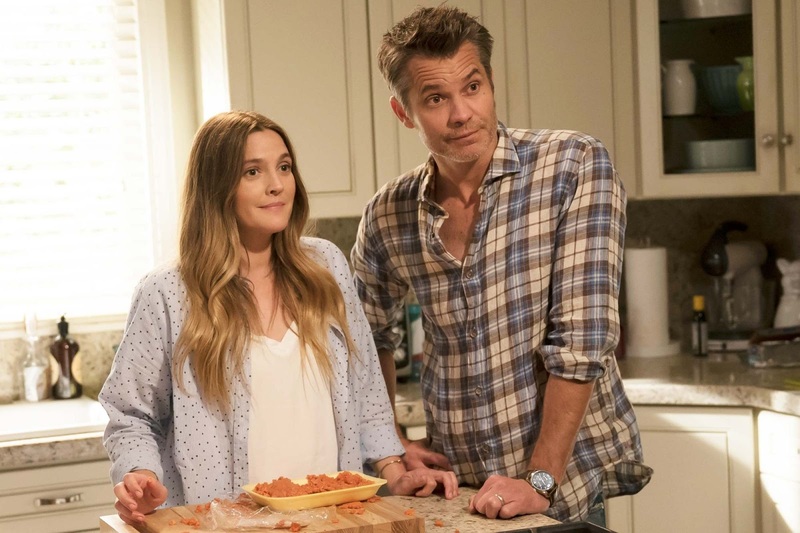 In Santa Clarita Diet, Joel (Timothy Olyphant) and Sheila (Drew Barrymore) are husband and wife realtors leading vaguely discontented lives in the L.A. suburb of Santa Clarita with their teenage daughter Abby (Liv Hewson), until Sheila goes through a dramatic change sending their lives down a road of death and destruction...but in a good way. Picking up right where we left off, Season 2 of Santa Clarita Diet finds the Hammonds trying to adapt to Sheila’s now-advanced undead state — even though she’s desperately working to hold on to her suburban lifestyle and not be defined as just another monster. Unfortunately — while the family has become markedly better at murder — the number of missing people in Santa Clarita is starting to pile up and it’s no longer going unnoticed. Meanwhile, the Hammonds are chasing the source of the virus so they can stop it from spreading and save humanity — which seems important. Through it all, Sheila and Joel are grounded by their unconditional love for one another. Sure, being undead — or loving someone who is — isn’t always easy, but don’t all relationships have their challenges? From acclaimed creator and executive producer Victor Fresco, Santa Clarita Diet stars Drew Barrymore, Timothy Olyphant, Liv Hewson and Skyler Gisondo. Aaron Kaplan, Tracy Katsky, Chris Miller, and Ember Truesdell are also executive producers of the series, along with Barrymore and Olyphant. Santa Clarita Diet is a Netflix production, and it launches on the service on 23 March. Netflix is the world's leading internet entertainment service with over 117 million members in over 190 countries enjoying more than 140 million hours of TV shows and movies per day, including original series, documentaries and feature films. Members can watch as much as they want, anytime, anywhere, on nearly any internet-connected screen. Members can play, pause and resume watching, all without commercials or commitments.